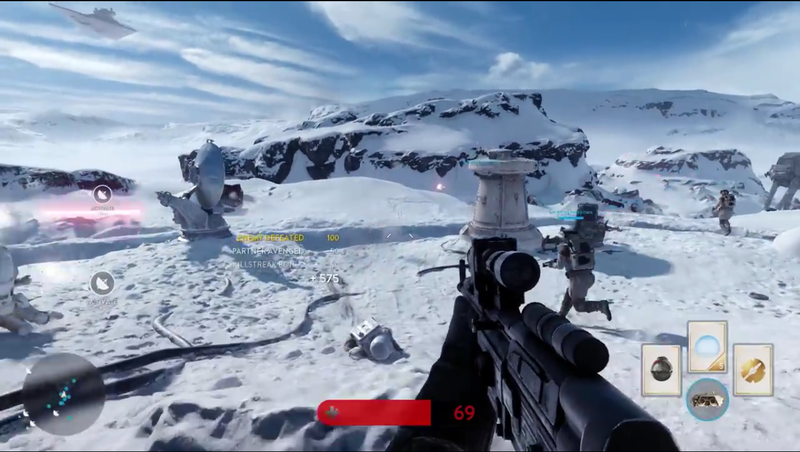 Battlefront is the Star Wars game you've been looking for. 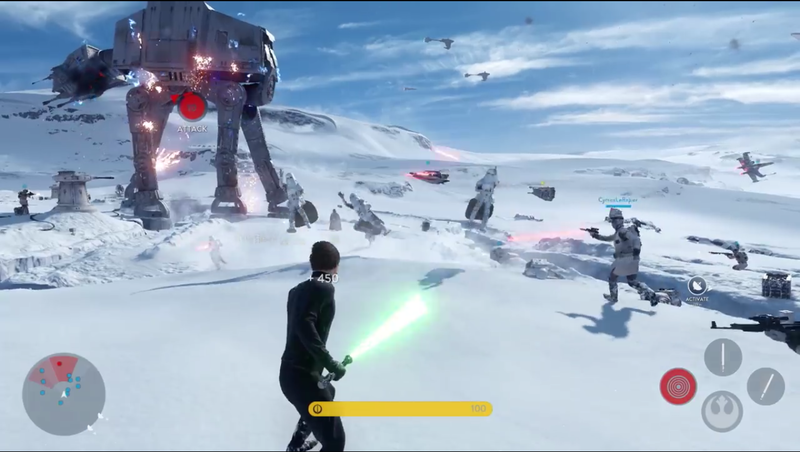 When we last checked out Star Wars: Battlefront, it was back at E3, when Josh tried out it's co-op "survival" mode. 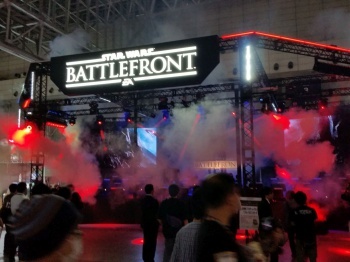 It was a nice intro into the game, but we all know that what everyone is looking forward to, what Battlefront is known for, is the massive 40-player multiplayer missions. At Tokyo Game Show this year, I finally got a chance to give it a whirl, and all I can say is wow. Any reseverations I had for this game following the whole Hardline fiasco evaporated in a fit of giddy, nostalgic glee. From what I have seen so far, I can tell you that this is the Star Wars game you've been looking for. In the demo, I played as a member of the Rebel Alliance, defending our base from Imperial forces during the iconic battle of Hoth. After a short briefing from our man Ackbar himself, we were dumped into the battlefield, and told to destroy the two goliath AT-AT's bearing down on us before they hit the shield generators. Right from the start, the scale of the game was obvious. A combination of the excellent third-person camera, the sprawling, trench-lined open maps, and massive vehicles really made me feel like I was actually fighting a war, rather than just a small skirmish. Obviously in such a big map movement is key, as no-one likes dying and having to run forty miles to get back into the action. 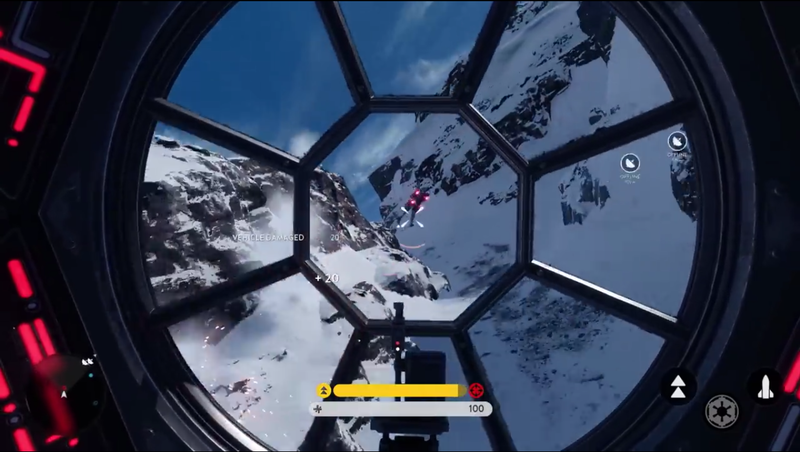 Battlefront addresses this by having dynamic spawn points that get you straight into the action, as well as special movement abilities like Bobba Fett's infamous jump jets to help you lead the charge. Speaking of abilities, there were two load-outs I could choose from in the demo, and about four or five different weapons. There's the aforementioned jump jet class who also packs burst grenades and an EMP blast, or a more defensive class with heavy explosives and a personal shield. Your weapons are your sci-fi variations on the bog-standard pistol, sub machine gun, sniper rifle, assault rifle, and heavy machine gun. As well as anti-vehicle weapons and other boosts (such as a "squad shield") the other powerups that will spawn in the field are vehicle tokens. Again, in a departure from Battlefield, rather than having to board a vehicle from your home base and drive it into the field, finding a vehicle token and activating it will put you straight into a mid-flight (or mid-walk, for the walkers) and ready-for-action vehicle. As a Rebel, the vehicles available to me were the Snowspeeder and the X-Wing. Unfortunately, I couldn't really get a solid grip on the controls and found them quite clunky, but did find the stationary turrets to be incredibly fun and rewarding. 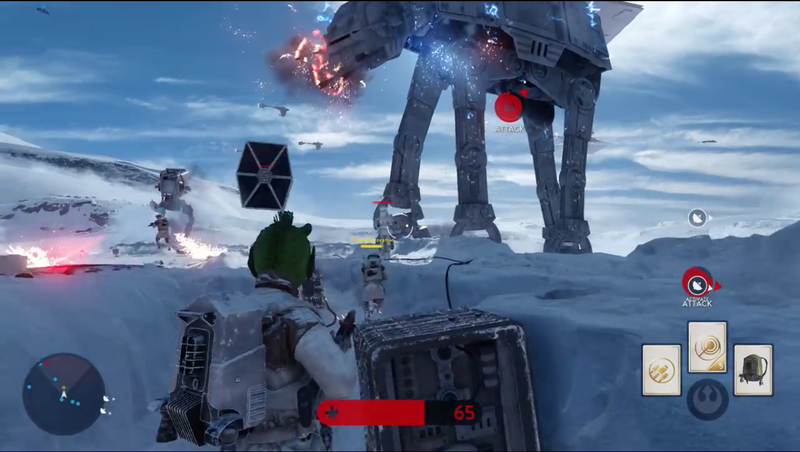 There's nothing more satisfying than mowing down an advancing line of Snowtroopers. The game's objectives were always extremely clear, and a nice twist from the traditional "capture points/plant bomb" style objectives of these kinds of games. Essentially, to bring down the AT-ATs, the Rebels had to capture and hold communication relays, which would call in a Y-wing bombing run, temporary making the AT-ATs vulnerable. In an extra special nod to the movies, an extremely skilled Snowspeeder pilot can actually bring down an AT-AT with his tow cable during this period of vulnerability - instantly killing it. But nothing gives more of a nod to the movies than the sounds. Both the music and the sound effects are so top-notch and so Star Wars that it really made me feel like I was actually a Rebel trooper fighting in the movies - a feeling that hasn't been replicated since the original Battlefront and Battlefront 2. I will admit, I was worried. 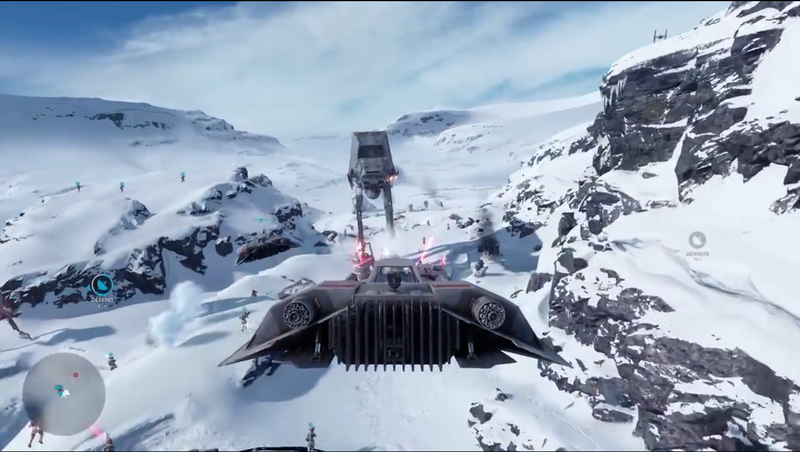 I was worried we were going to get Battlefield 4 with Star Wars skins, but Battlefront doesn't really feel like that. It feels like its own game, and what's more, it's incredibly fun. This one is easily my best in show for Tokyo Game Show this year, and I'm looking forward to when it launches for PS4, PC and Xbox One on November 17.